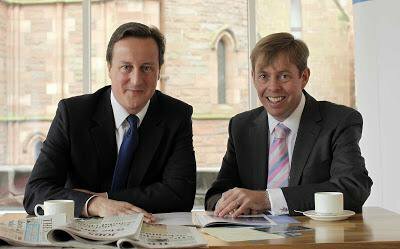 Richard Cook and David Cameron. Image: voterichardcook.blogspot.com, fair use. A modest, semi-detached house in Clarkston on Glasgow’s southside seems an unlikely source for a secretive, £435,000 donation to the Democratic Unionist Party’s Brexit campaign. But the occupant – Richard Cook – is the only person publicly connected with the Constitutional Research Council, a shadowy pro-union group that funnelled dark money to the DUP ahead of June’s EU referendum. Mr Cook is a former vice chairman of the Scottish Conservative party and Tory election candidate (for which he was fast-tracked through the selection, according to reports on ConservativeHome). He has campaigned with Ruth Davidson and David Cameron, and his Facebook friends list is a roll-call of prominent Scottish Tories. Scottish politicians are now calling for the Scottish Tory leader to clarify her relationship with Cook, who in the 2010 general election lost out to Labour’s Jim Murphy in East Renfrewshire. Key activists in his team were subsequently found burning the EU flag and posting Northern Irish loyalist song lyrics on Twitter. Cook is at the centre of a political scandal raging in Northern Ireland. Back in February, an openDemocracy investigation found that donors had taken advantage of Northern Ireland’s secretive electoral laws to funnel hundreds of thousands of pounds to the DUP’s pro-Brexit campaign. Under pressure, the DUP revealed that the party had received £435,000 from a group called ‘the Constitutional Research Council’. Over £32,000 of this money was spent on data analytics company AggregateIQ, a small Canadian outfit that has been linked to Donald Trump’s billionaire backer Robert Mercer and Cambridge Analytica, who are now at the heart of an investigation by the Information Commission. We know almost nothing about the Constitutional Research Council. The outfit has no formal legal status. What we can say for sure is that it is chaired by Cook, and he has promised to fund the pro-union campaign in any future Scottish independence referendum. “More people with more money are ready to step up to the plate this time compared with the last referendum” Cook told the Sunday Times earlier this year. He didn’t reveal who those people are. The DUP has also refused to say who the backers behind the CRC are, and there is little to suggest that Cook himself is a major donor. 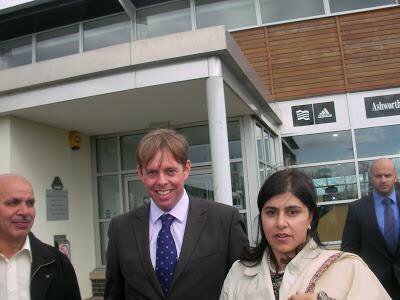 Former Conservative colleagues describe Cook as “a nice guy but not a rich guy”. Cook – who could not be contacted for this piece – appears to retain an interest in Scottish politics. He is listed as an advisor on Think Scotland, a conservative-minded website funded by Scottish unionist businessman Robert Kilgour. Think Scotland is owned by former Tory MSP Brian Monteith. Monteith was head of press during the referendum for Leave.EU, the campaign group run by Arron Banks and Nigel Farage. Cook’s interests are not confined to politics. Since general election defeat in 2010, he has been involved in a number of international business deals. In 2012, his company Cook Consulting (UK) Ltd held a press conference in Glasgow announcing its involvement in a £640m water desalination project in Pakistan. The firm failed to submit accounts in 2014 and was dissolved by Companies House via compulsory strike-off in 2015. In 2013, as we have previously revealed, Cook founded another company called Five Star Investment Management Ltd with the former head of the Saudi Arabian intelligence agency, Prince Nawwaf bin Abdul Aziz. The prince’s son is the Saudi ambassador to the UK. The other director of the company was Peter Haestrup, a Danish national who has been connected to the Purulia arms drop case, a long-running multinational scandal that involved weapons being dropped over the Indian province of West Bengal in 1995. Richard Cook with Scottish Tory Jackson Carlaw. http://voterichardcook.blogspot.co.uk/, fair use. Five Star Investment Management Ltd was registered at Mr Cook’s Glasgow address. The firm filed no accounts with Companies House, and was dissolved in December 2014. Cook also has connections with right-wing pressure groups in the UK. 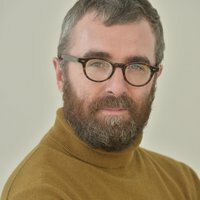 He was Scottish spokesperson for Conservative Friends of Israel and for the Campaign Against Political Correctness, a campaign allied to the Freedom Association, a right-wing Eurosceptic pressure group that supported apartheid in South Africa. Back in 2009, Richard Cook spoke alongside current Tory MSP Murdo Fraser at a Freedom Association fringe event at the Conservative party conference in Perth to celebrate the 30th anniversary of Margaret Thatcher’s 1979 election victory. Freedom Association Chief Executive Simon Richards later praised Cook as “one of the hardest working PPC’s (Parliamentary Prospective Candidates) anywhere in the country”. The Freedom Association has historical links with Northern Ireland. Among its original founders was Ross McWhirter, a controversial journalist who campaigned for strict restrictions on Irish people in Britain, including making it compulsory for all Irish people in Britain to register with the local police and to provide signed photographs of themselves when renting flats or booking into hotels and hostel. McWhirter was shot dead by the Provisional IRA in Enfield in 1975. The Freedom Association boasts of “friendly links” with the Democratic Unionist Party. In 2007 and 2008, leading DUP politicians Jeffrey Donaldson and Sammy Wilson were involved in Freedom Association “fact finding” events in Northern Ireland. At the time, the Freedom Association said it had “taken a close interest in Ulster matters from its earliest days and is keen to strengthen its ties with the province and to demonstrate its support for the Union.” Donaldson was the chair of the DUP’s Brexit campaign – his name appeared on the election material that the CRC’s £435,000 donation paid for – and Wilson was a prominent pro-Brexit DUP voice throughout the campaign, regularly appearing in the media. McFarlane was subsequently sacked as a Holyrood assistant by Ruth Davidson in 2011 after footage emerged showing him setting fire to the EU standard while dressed in the robes of Glasgow University amid anti-Catholic taunts. McFarlane had been Davidson’s election agent. Around the same time, it was discovered that Colin Taylor had posted song lyrics on Twitter glorifying Northern Irish loyalist terrorist group, the Ulster Volunteer Force, while serving as president of the student Conservative Association from 2009 to 2010. The social media posts were picked up when Taylor was working for the Tory Press and Research Unit at Holyrood. 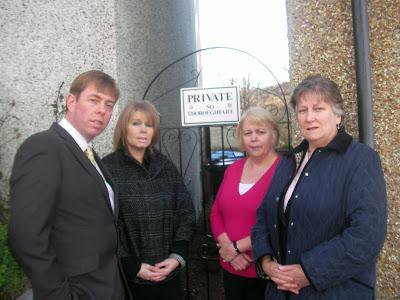 "This whole affair is like something from a spy novel and the East Renfrewshire Conservative Party is at the heart of it. 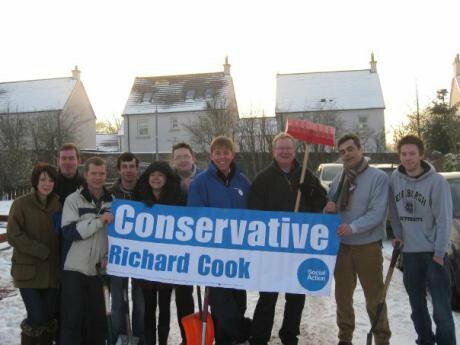 “Richard Cook isn’t just someone who happened to be a member of East Renfrewshire Conservatives. He’s been a leading figure in the local Tories for more than two decades... He’s close to senior elected Tories, including Jackson Carlaw. “It simply isn’t tenable for East Renfrewshire Tory candidate Paul Masterton to maintain silence on this. Will Mr Cook play any part in his campaign? Will he refuse to take any funds from Mr Cook or anyone who has received money from Mr Cook? Will Mr Masterton make a statement about what he knew and when about these extraordinary allegations? 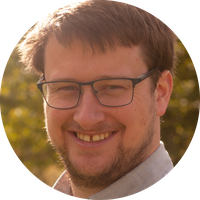 "These are deeply concerning allegations The fact that we still do not know the source of such a significant amount of cash used to help bankroll the Brexit campaign is unacceptable, and cannot be allowed to continue. The Scottish Conservatives haven’t yet got back to our request for a comment. Richard Cook could not be reached for comment. openDemocracyUK will keep investigating this mysterious story. But it costs money. Please chip in here.